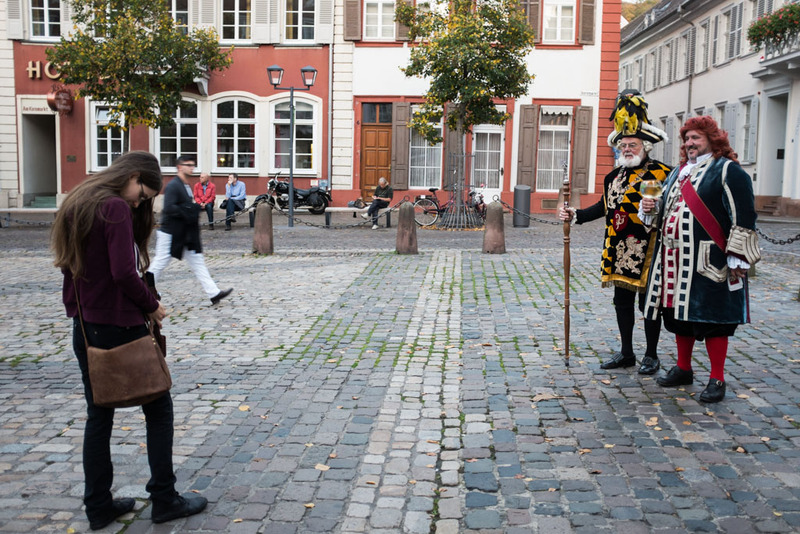 In case you ever wondered what it looks like when I shoot my pictures, here is a little glimpse: namely a picture my husband took of me while I was taking a street portrait of a couple of historical re-enactors. Of course this is a bit different from what I normally do, but close enough to give you an impression. As you can see, even very colourful costumes can work perfectly well in black and white. And yes, my long hair always gets in the way even when I’m shooting from the hip! 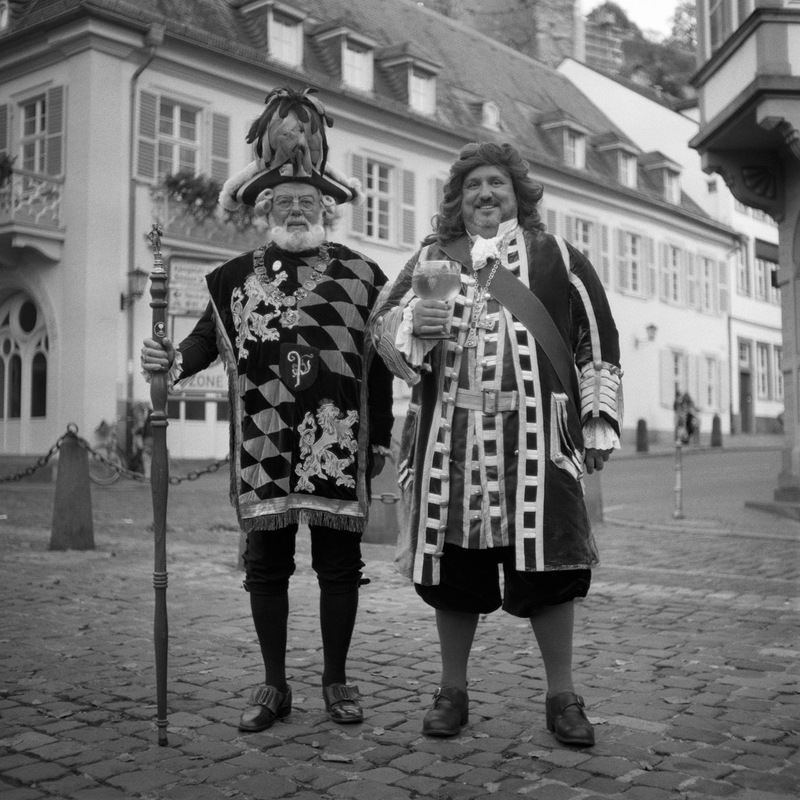 The picture taken by me was: Rolleicord V, Schneider-Kreuznach Xenar 75mm f/3.5. Rollei RPX 400 stand-developed in Rodinal 1:100, 70min. First my portrait of the re-enactors. And a photo of me taking that portrait. Thanks Richard 🙂 I’m so glad you like it, since I really love your street portraits! Why is it that I get the impression your husband as recently heard the word Leica a lot ,anyway a nicely framed shot but if only he had waited for the guy crossing the frame to reach the middle of the scene.There are suppose to be a couple of smiley’s in my comment but how I know not ? Haha, you might be right about me saying the word Leica too often. I can’t wait to finally get my hands on it!!! As for the guy crossing the frame – it’s hard to predict when I’m finished with a shot because the Rollei has such a quiet shutter. Waiting might have meant to lose the shot! Considering that I was framing I probably stepped away just a moment after he took the shot! Thanks 🙂 Glad you like it!